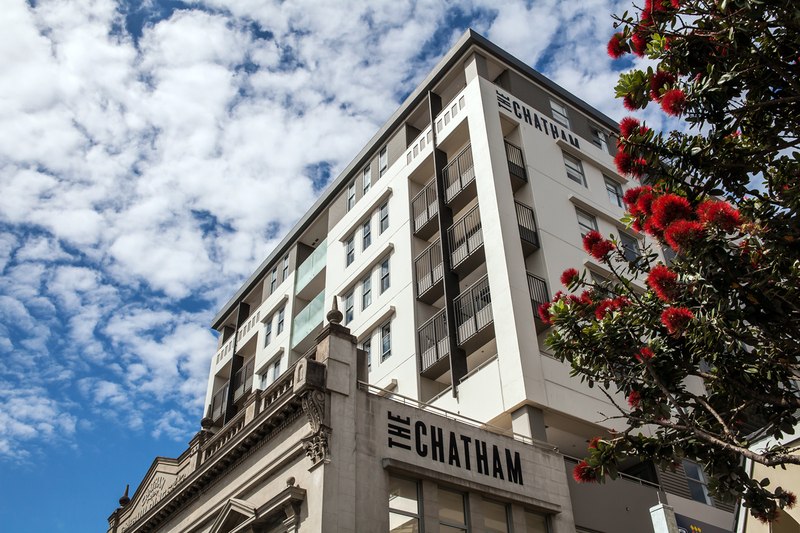 The Chatham was the redevelopment of an existing single level 1920’s shop within the heritage sensitive “K” Road Precinct which retaining the existing 1900’s buildings on the site. 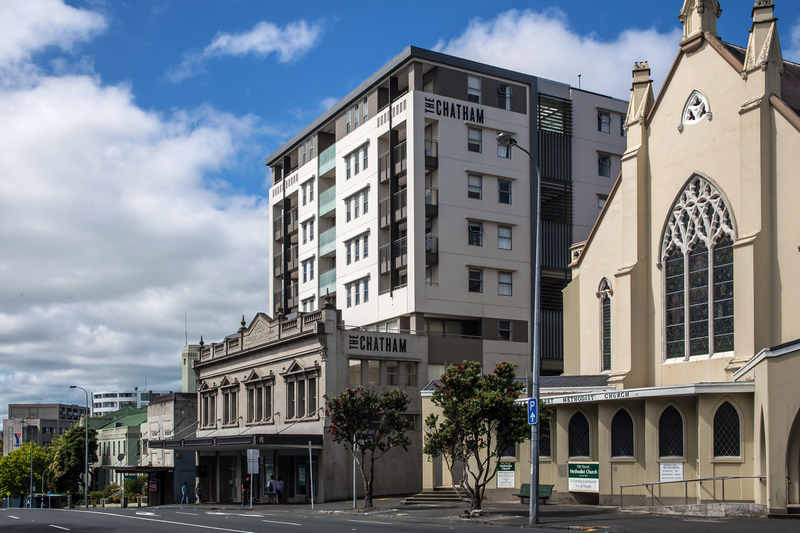 This challenge resulted in a contemporary yet respectful design. 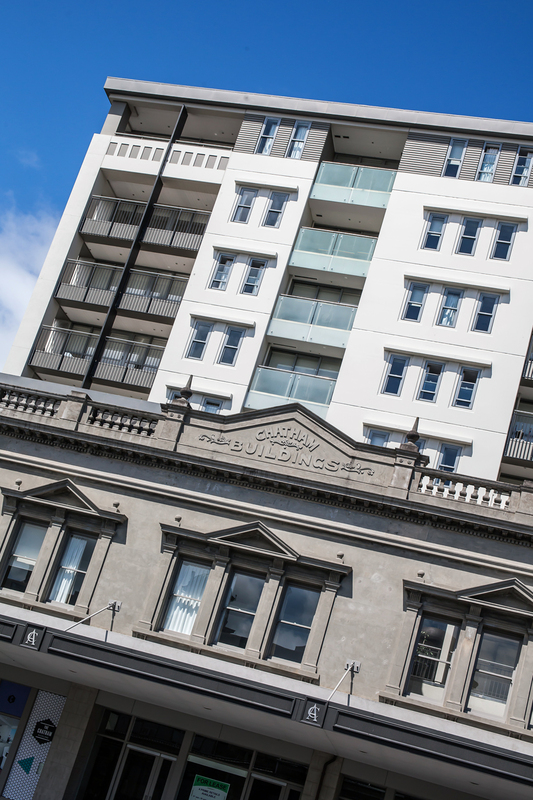 The integration of the existing building, including the finding of archaeological diggings, required a challenging documentation and construction process. 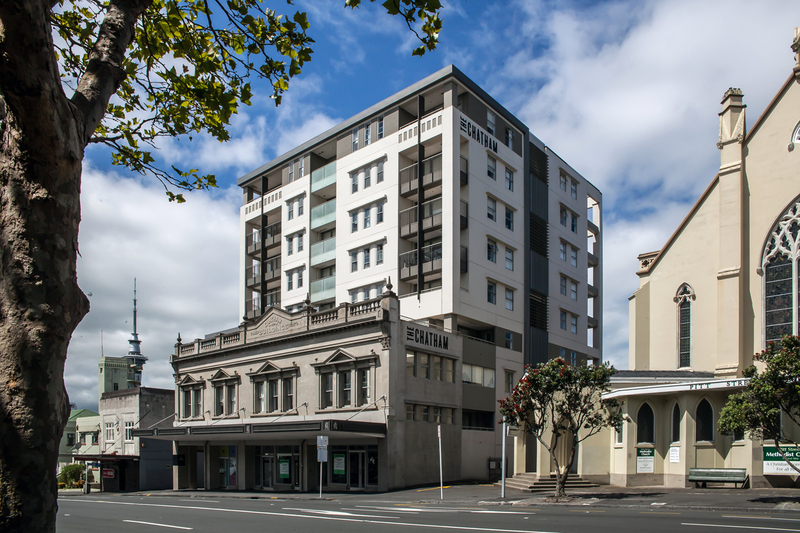 The result was a unique development with 48 apartments and ground floor retail that combined to add a vibrant element into the precinct and a successful development.